I made these on Friday night after work, but have been having technical problems so only just posting this today! 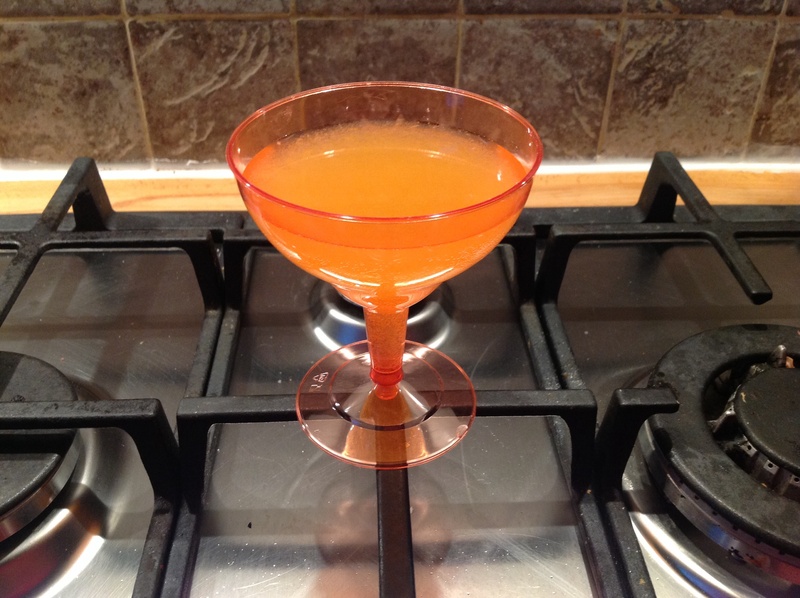 I was thinking I might start making cocktail Friday a regular thing but a lot of the recipes have some pretty unusual ingredients so may make it a monthly thing..
I’ve had a daiquiri once before, and think it was a strawberry one, but I didn’t actually realise it was rum! I do have a bottle of pretty cheap rum that I only really use for cooking so hoping it will be ok for this. I’m assuming this recipe is just enough for one! I was making this for two so doubled up. I just smashed up some ice cubes and I don’t have a shaker so had to use a large jar.. 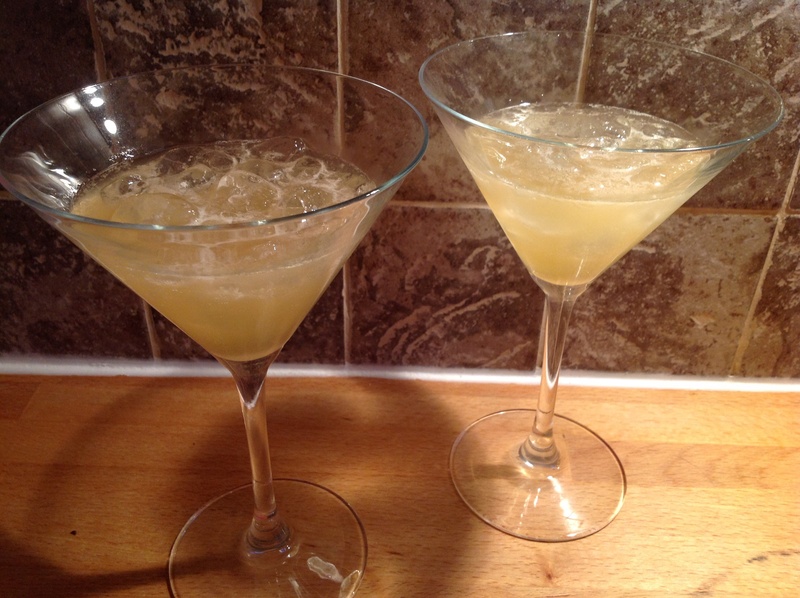 I dipped each glass in lemon juice then sugar and then poured the mixture in each glass. I guess you can add more ice or less if desired..
Well this was a rather pleasant start to a Friday evening!! I was thinking it might be a bit strong but I think it’s pretty well balanced, the rum isn’t too strong and the lemon and sugar combination is great. 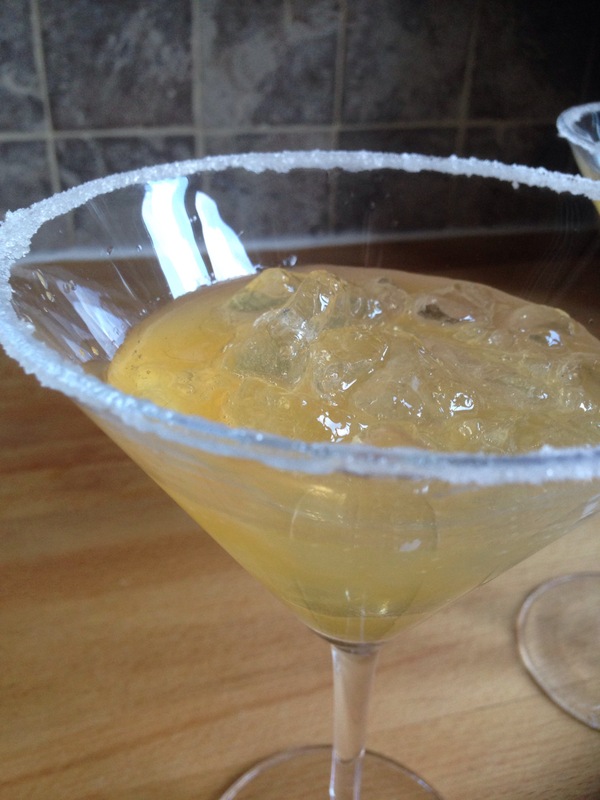 I do love the sugary rim on the glass too! 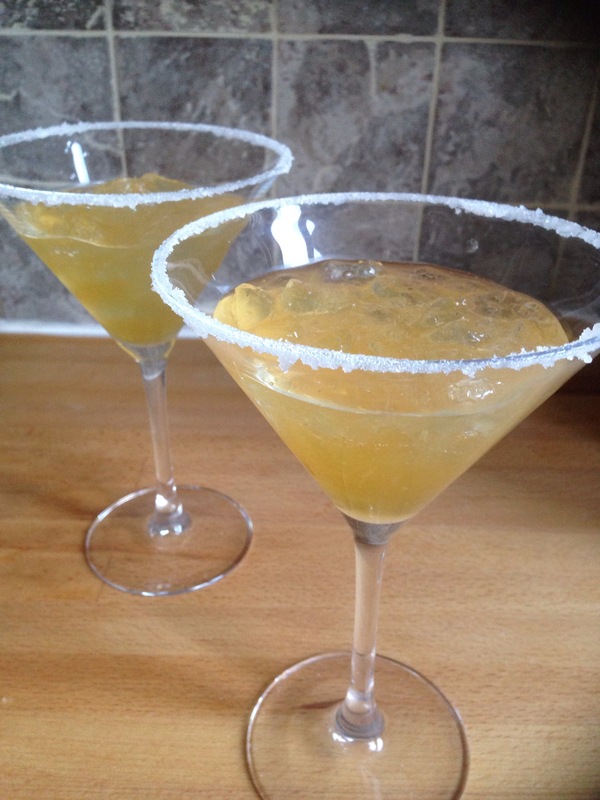 Champagne Cocktail – Blog Anniverasy Treat! It’s hard to believe that this is the second anniversary of my blog! I know I’ve not exactly been committed to it for the last few weeks but that’s not out of choice! So tonight I wanted to splash out a bit and treat ourselves to something a little extravagant, so champagne cocktails it is! I have to say a special thanks to my parents and husband for helping me to embrace the slight extravagance of being desperate to make champagne cocktails on a Tuesday night! If it wasn’t for them there would’ve been no angostura and no champagne!! I have a good few memories of long vodkas, both making and drinking them, but never used angostura bitters in the house. According to the bottle it’s a skilfully blended aromatic preparation of gentian in combination with a variety of vegetable colouring matter! The smell from the bottle really does remind me of the late-nineties!! So the recipe says one sugar lump to four drops of angostura, so I assumed that was per glass? Is that a lot of sugar?? Was thinking the bitters and sugar would balance each other out! Then I added the lemon juice.. Finally each glass is topped up with some champagne..
Then a thin slice of lemon is meant to be floated on top of each glass but my fancy special glasses are a bit narrow for that! So this was our Tuesday night blog anniversary treat, and what a good treat it was! I loved the flavour from the angostura, it’s hard to describe but I think the next time I’m in a pub I’m going to order either a long vodka or a champagne cocktail! I thought the sugar lump would be way to sweet but combined with the angostura and lemon it actually works really well. Would I make this again? Oh yes, I’ve decided this should become our new Saturday night pre dinner drink!! 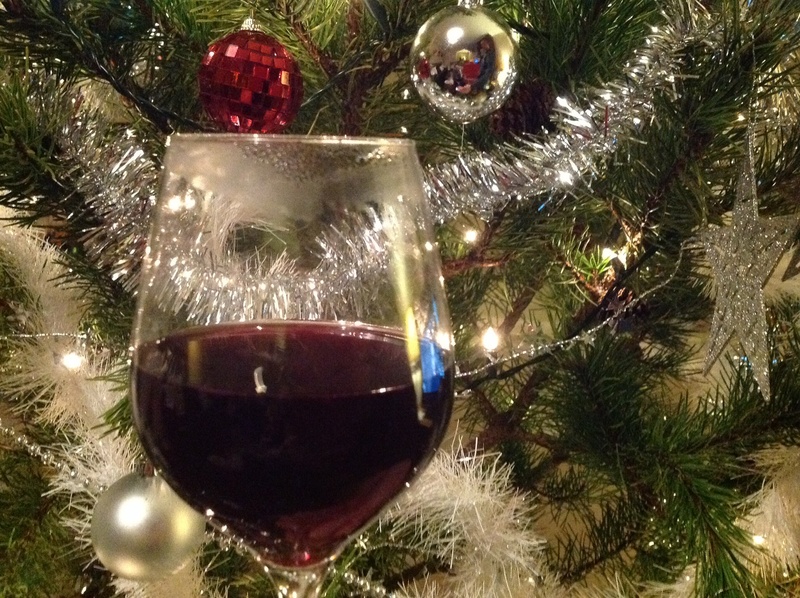 I can’t believe its 22nd December and I’ve not had any mulled wine yet! I’ve never actually made it properly before; have either bought the bottled stuff or made using a sachet before, or I’ve had it out in a bar. So this is my first attempt at making myself.. Boil the water, sugar and spices together. Add the lemons, stir and leave to stand for 10 minutes. Add the red wine and heat but do not boil. Strain the wine and serve hot. Garnish with orange or lemon slices. I didn’t use claret or burgundy for this, we had half a bottle of Shiraz so I used that. I obviously halved the rest of the other ingredients as well. I love the smell of mulled wine and does really create a Christmassy feel as this is heating up. The full quantity of this makes 1.5 pints so as I’d halved it this was enough for a large glass each. The smell from this is amazing, and it tastes just as good. It’s sweet and spicy, and is so wonderfully warming! This was perfect sitting in front of an open fire when it’s pouring outside! I have to be honest and say this tastes way better than any bought mulled wine I’ve tried before. So this is the first of a few blog entries today, it’s my birthday so hosting a dinner party for my family. I had bought cans of cider for the fish and cider casserole I made last month, am not much of a cider drinker so decided to turn into a cocktail for pre dinner drink! Strain the syrup from the apricots, rub the fruit through a sieve and put into a large jug. Put the cinnamon and almonds with half pint of the cider in a pan, bring to the boil and leave to stand for 10 minutes; cool and add to the apricot pulp in the jug. 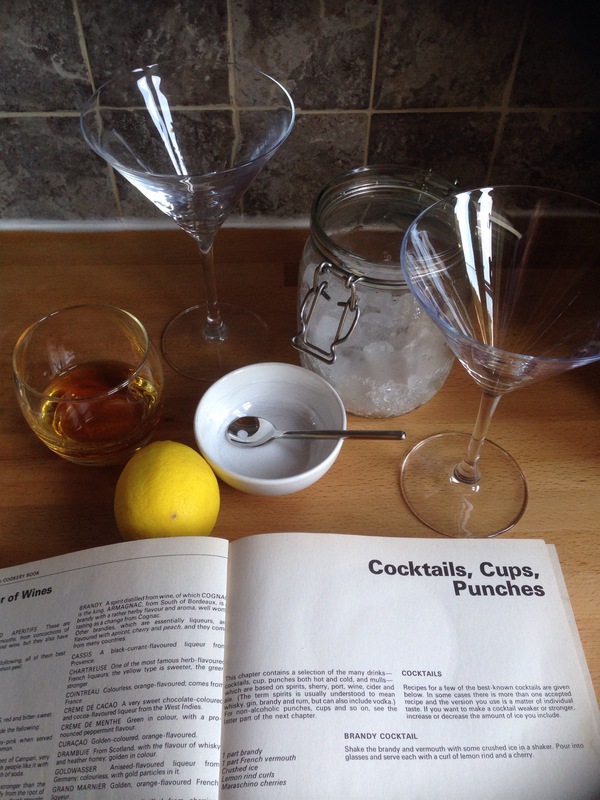 Just before serving add the remaining cider and the tonic water. I had to do a bit of research to figure what a quart is, an American quart is 946ml but a uk quart is 1136ml! A split is 6oz or 177ml! It was a bit of a hassle sieving the apricots, also wasn’t sure what the almonds brought to it, I had to assume I wasn’t to pour them into the jug! To quote my dad this was quaffable! Was a good combination, am not a big fan of cider so having the fruity apricot mixed in was good. I didn’t get much cinnamon flavour when drinking it. Would I make this again? Yes if I have more cider to use up! 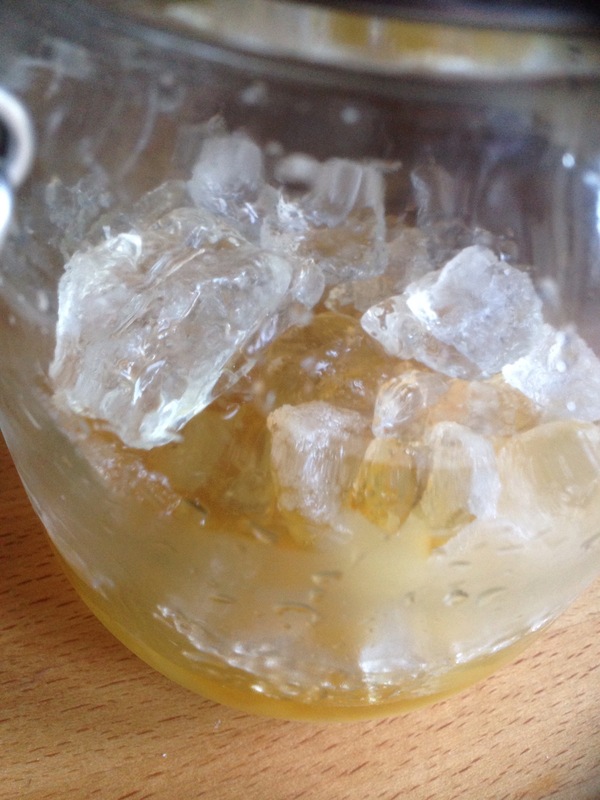 Mix together the lemon juice, sugar and whiskey and shake well with the cracked ice. That’s it! I had assumed this was only meant for one so I doubled this, we had miniatures of whiskey which were 50ml. Not sure if a measure would be considered as 25ml or 35ml, guess it depends where you drink! I don’t have a cocktail shaker so had to use a Tupperware pot with a lid, maybe not best idea as it did leak and the dog was licking floor where I had been shaking it! I didn’t know if you were meant to strain off the ice, I just served with the ice in the glass. I’m really not a fan of whiskey, but that was actually quite enjoyable for a Friday evening before dinner. Was quite refreshing, really lemony with the heat from the whiskey. I personally think it could do with a touch more sugar, but overall enjoyed it. Couldn’t drink anymore, one was plenty for me! Would I make this again? Yes, need to use up the whiskey in the cupboard!